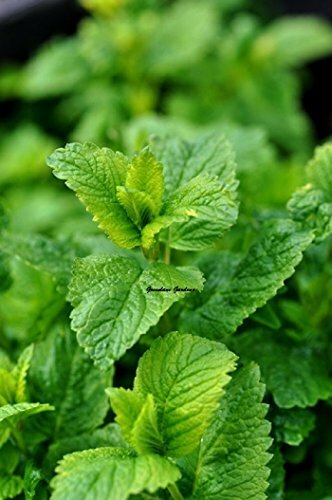 Organic Herb-Lemon Balm herb 25+extra seeds Brew an invigorating medicinal Herbal tea use in bouquets to add a lemony scent to any room,attracts bees! Product prices and availability are accurate as of 2019-03-31 20:15:09 EDT and are subject to change. Any price and availability information displayed on http://www.amazon.com/ at the time of purchase will apply to the purchase of this product. Organic Lemon Balm USAGE: Aromatic, cosmetic, culinary, and medicinal. The dried leaves scent potpourris. Lemon balm is used in a facial steam to clean the skin. It also is used in teas, beers, and wine and with fish, mushrooms, and soft cheeses. Fresh leaves are used in salads, marinades for vegetables, chicken salad, and poultry stuffing's. It can be grown in containers. Lemon balm is said to have some medicinal qualities. Lemon balm is a lemon scented member of the mint family. It is a perennial which will over-winter in hardiness zones 4 to 5. Be careful if you grow this herb as it can quickly take over other plants. Lemon balm is valued as a culinary, cosmetic and medicinal herb. Fresh sprigs are used to top drinks and as garnishes on salads and main dishes. Lemon Balm seeds yield a herbaceous perennial self-sows and bees love it. Plants grow vigorously so keep self-sown seedlings thinned out. 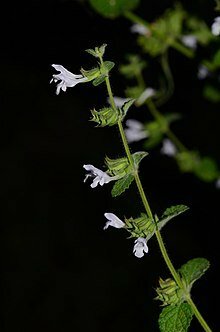 Lemon balm is deer resistant, Chop back lemon balm plants by two thirds once the flowers have faded to prevent self sowing and to encourage the growth of new leaves. Lemon balm belongs in every organic herb garden and has been cultivated for centuries as a medicinal plant All my seeds come in reusable Ziploc bags with full planting instructions.note if you order more than one of these item they will be shipped in one seed pack unless otherwise requested. Greenlane Gardens Brand of seeds are shipped by Greenlane Gardens from Hawkesbury Ontario ONLY! 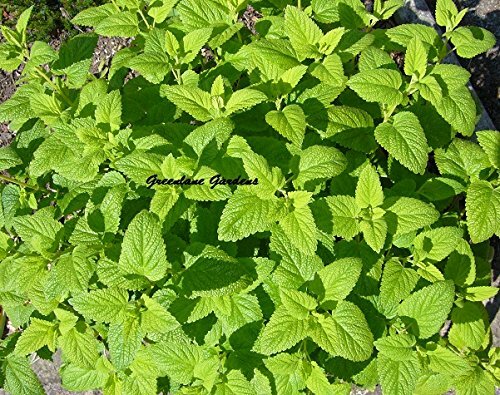 Organic perennial non-gmo/easy to grow Lemon Balm seeds yield a herbaceous perennial self-sows and bees love it. Plants grow vigorously so keep self-sown seedlings thinned out. Lemon balm is deer resistant, It can be grown in containers. Lemon balm is said to have some medicinal qualities. It also is used in teas, beers, and wine and with fish, mushrooms, and soft cheeses. Fresh leaves are used in salads, marinades for vegetables, chicken salad, and poultry stuffing's Greenlane Gardens Brand of seeds are shipped by Greenlane Gardens from Hawkesbury Ontario ONLY!